The official strategy guide has revealed details of all of the Hunter exotics in Destiny 2. Exotic armour pieces include The Dragon's Shadow, Raiden Flux, Foetracer, Orpheus Rig and many others for the Hunter class. This guide also includes each of the Intrinsic Perk's, commonly referred to as Exotic Perks, that make these Exotic armour pieces so precious. Although the Hunter may be the unloved class in Destiny 2, it's still exciting to discover the new exotics for each of the classes. For the Hunter, I'm particularly interested in using the new Intrinsic Perks "Synapse Junctions" for improved Arc Staff attacks and "Uncanny Arrows" for bonus ability energy during successful tether attacks. 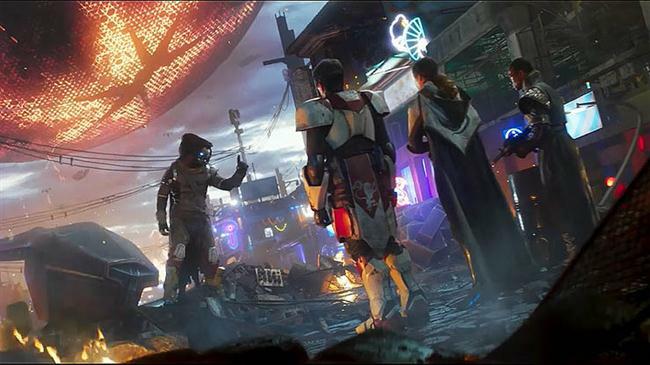 As with the other class exotics in Destiny 2, several of the names below may be familiar, simply because they were brought forward from the original game. Returning exotics include Lucky Raspberry which comes with the Probability Matrix exotic perk and Celestial Nighthawk that comes with the Hawkeye Hack perk. Changes the Golden Gun Super to fire a single shot, with higher damage that causes enemies to explode. If you're a good shot with this Super, then Celestial Nighthawk can be extremely beneficial to BOSS fights and high level encounters. Knucklehead Radar is a returning exotic from Destiny 1 that provides radar while aiming down sights, the same perk effect as equipping the MIDA Multi-Tool weapon. Provides an improvement to Sidearm ready and reload speed. Increases Tripmine Grenade duration and marks enemies damaged by the blast. A useful exotic for Crucible maps but less so for PvE where enemies are less likely to surprise you. Improved movement and weapon handling speed after dodging. The perfect perk for raid challenges that require quick movement to accomplish goals. Improves the chaining abilities of Arc Bolt Grenade, and has a chance to recharge it each time it deals damage. Quick successive strikes with Arc Staff improve it's damage and duration. The perfect complement for the Arcstrider Hunter subclass, the intrinsic perk will ensure that those close quarter Super attacks are even more deadly. Increases Hand Cannon reload speed and initial accuracy. If you're a lover of Hand Cannon's then Lucky Pants sounds like the exotic you've been waiting for, although at present it's hard to justify an exotic slot for this armour piece unless Illegally Modded Holster turns out to be a very impressive Intrinsic Perk. 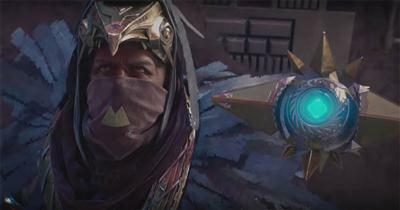 Grants ability energy for each enemy tethered by Shadowshot anchors. For those that play the team game, gaining ability energy whilst tethering enemies will further boost your usefulness in group counters, strikes and raids. Increases sprint speed and slide distance, also improves jump. For fast moving guardians,STOMP-EE5 provides everything you need. It could prove particularly useful in Raid encounters that require quick thinking, movement and precision jumps.